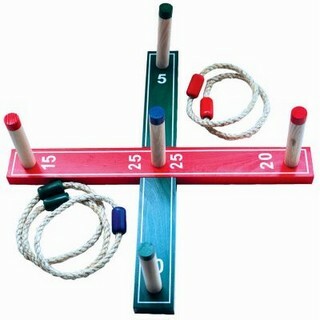 Classic throw game of skill to test your hand to eye co-ordination. 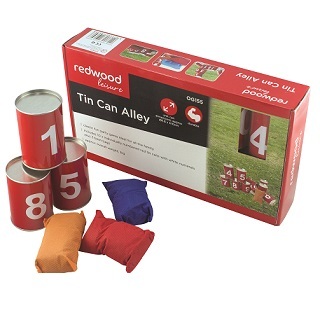 Ideal for playing on grass or at the beach this game is great fun for all the family and great entertainment at summer outdoor parties. 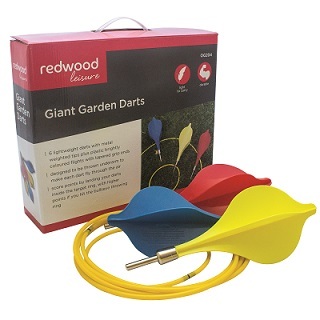 plastic brightly coloured flights with tapered grip ends. The set also includes 2 x target rings (1 spare) & 1 x bullseye ring. The darts are designed to be thrown underarm so that each dart will fly through the air. You score points by landing the darts inside the first target ring. Within the target ring a bullseye ring is situation in the middle. If your dart lands within this bullseye ring then you score a higher points tally.